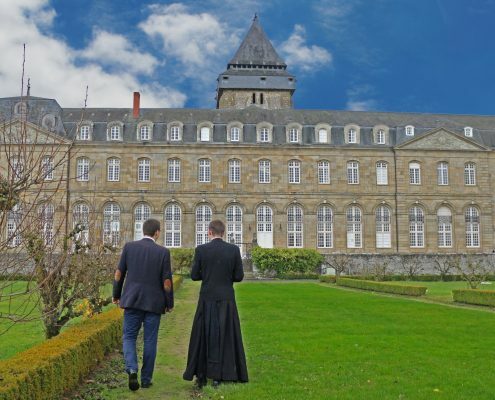 Come and visit us in Évron! 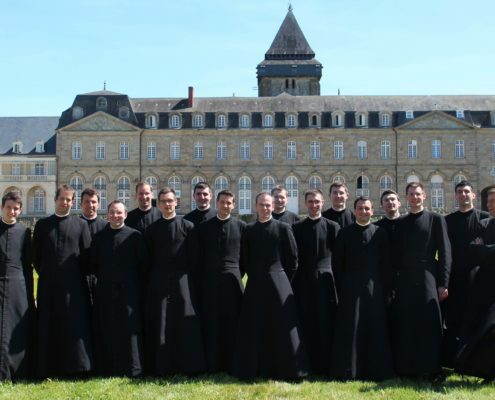 What is the Community of Saint Martin? 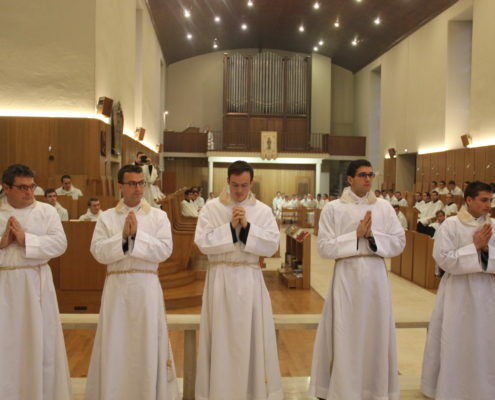 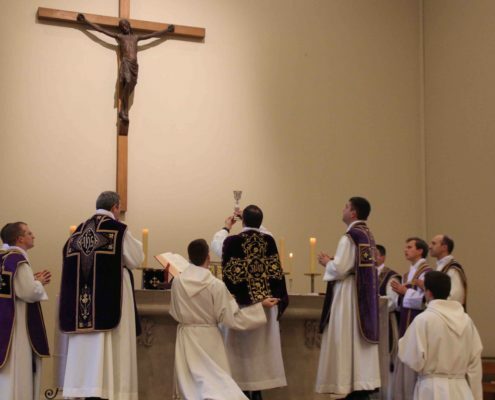 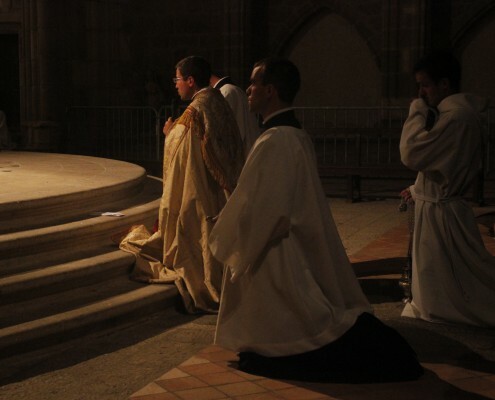 Depending directly upon the Holy See, the Community of Saint Martin is an association of priests and deacons living their apostolate in community, at the service of dioceses. 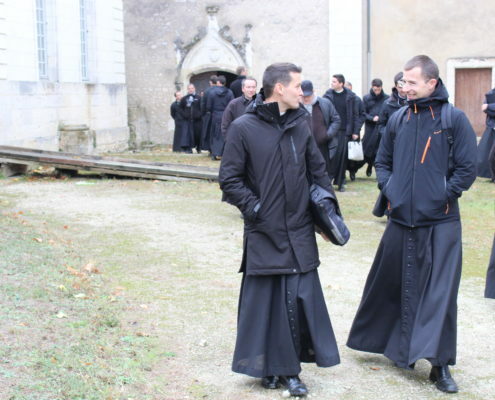 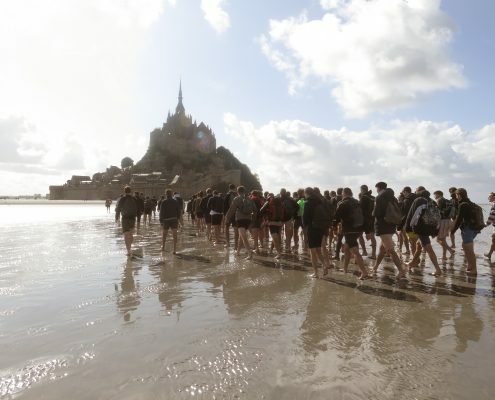 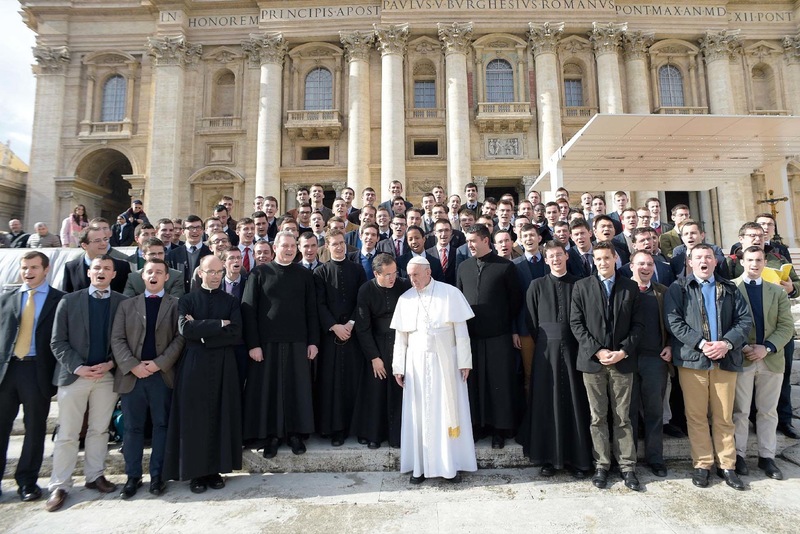 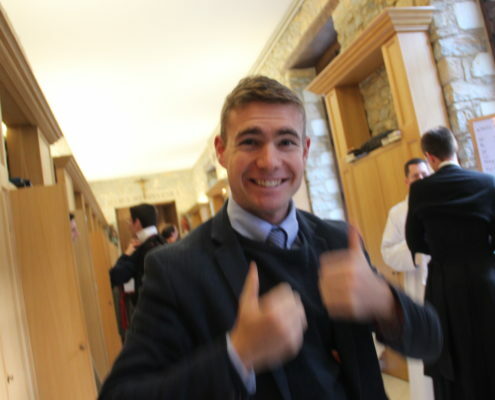 It currently trains over 100 seminarians according to a simple model: an intensive community life, a rich liturgical life, demanding studies, a care for mobility and a strong sense of humour. 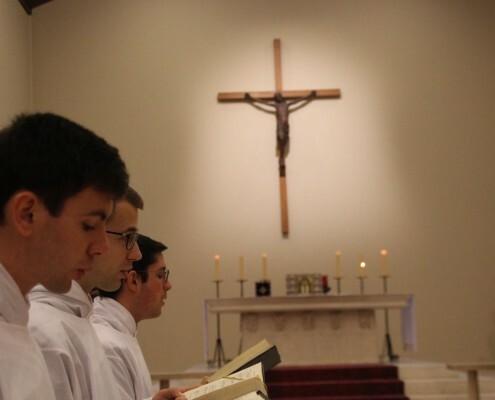 Sent on their missions in small communities of at least three, the priests and deacons pray, live and work together in a spiritual and pastoral fraternity. 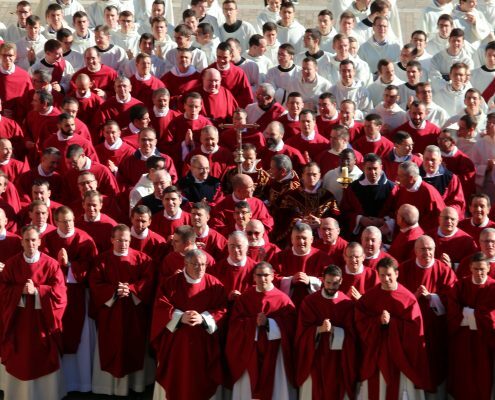 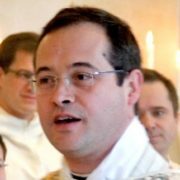 The Community is composed of 115 priests and deacons at the moment, dispatched in 22 dioceses in France and abroad (Italy and Cuba). 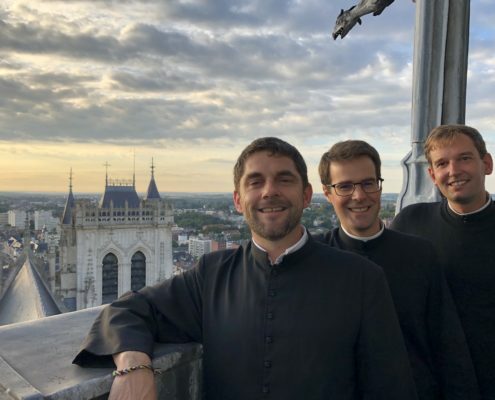 “Taking God seriously without taking oneself seriously.” We summarize in this way a spirit which we love to share, made of a love for the liturgy, joy and a familial simplicity. 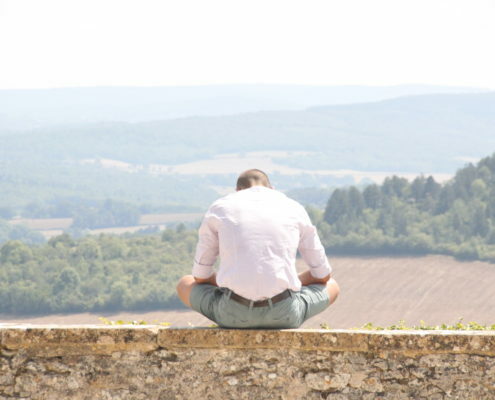 Come visit us in Evron !